It’s time to get physical. Add life to your years with Physiotherapy! Suffering with aches and pains is common for all of us, no matter what our age is. Either we suffer with an injury from an accident (usually through some form of activity) or our lifestyle or occupation takes its toll on our bodies. Commonly, we will either lead sedentary lives with very less exercise and movement of the body, or lead stressful lives, performing desk jobs coupled with long working hours spent slumped in our chairs looking at a computer screens – which also don’t help our general wellbeing. Only when the aches and pains become a constant feature in our daily life do we then tend to do something about it. This is a key moment that can alter the quality of our recovery. Choosing Physiotherapy over medicines, drugs or surgeries is undoubtedly the best way – it’s the most natural process of recovery. Physiotherapy is the most effective form of treatment for reducing pain in our bodies and getting us on the right track towards recovery. It gives us the advantage of the ‘whole-person’ approach. Our Physiotherapists don’t just focus on the part of the body which is causing you discomfort, but on the very causes that led to your current problem and advise how to stop a reoccurrence. This gives you a better overall quality of life – adding life to those years! With increasing age, suffering from neurological disorders such as Parkinson’s disease, Chronic Fatigue, Dementia and Paralysis becomes more likely. In such cases, Physiotherapy helps to rehabilitate and is a very to stop any further deterioration, because it takes an integrated musculoskeletal and neuromuscular approach when treating the problems. For best results, we advise that you keep in touch with your Physiotherapist, arranging what we call an ‘MOT’ – similar to how a car gets a yearly check-up to make sure everything is working okay – the same applies to the human body. We believe that Physiotherapy should become part of everyone’s daily lifestyle as it enables us to live a healthy life, rather than opting for treatment that merely relieves us from the temporary stress and pain that we are in. By Choosing Physiotherapy, you allow yourself to have full control over your recovery, along with guidance, support and knowledge every step of the way. Put a stop to the ‘getting-by’ mode that you’re in and start living your life the way you want to! 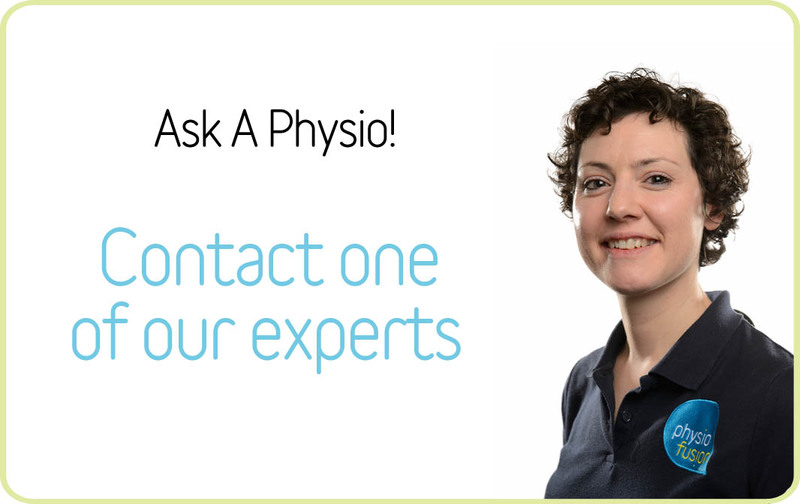 If you have a question for any of our therapists, you can use our FREE ‘Ask An Expert’ service online. They aim to respond within 24 hours.